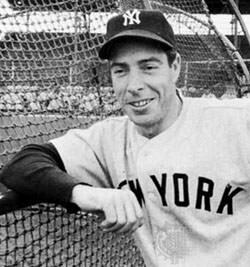 center fielder baseball player for the New York Yankees, is a a very rare sports old time radio show featuring Joe DiMaggio himself answering questions from listeners. The Joe DiMaggio Show is a a very rare sports old time radio show featuring Joe Dimaggio himself answering questions from listeners. Joseph DiMaggio was born Giuseppe Paolo DiMaggio, Jr., was a center fielder baseball player for the New York Yankees. An All-Star and Legend in the game of baseball, Joe DiMaggio made his major league debut on May 3, 1936. He is equally well known for his marriage to starlet Marilyn Monroe on January 14, 1954. In the Joe DiMaggio Show, he answers questions like "Who does your laundry?" and "Will you have a television show?" The second half of the show features a quiz section with questions on pop culture reverence, music, and appropriately enough baseball statistics. 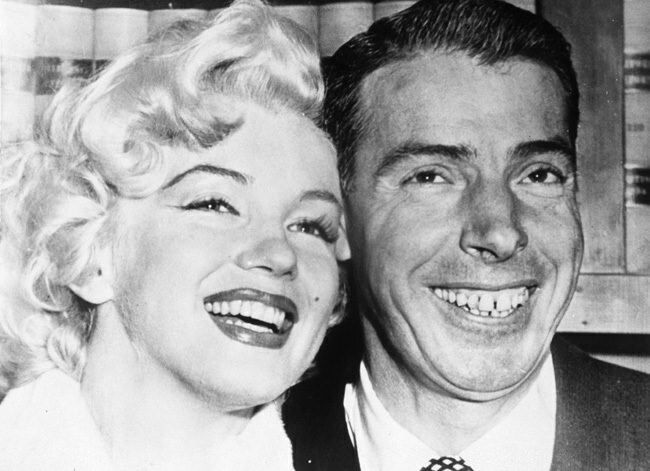 Comfortable and confident in his own skin, Joe DiMaggio is a natural on the air and easily charms guests and listeners alike. This collection contains several rare recoridng of The Joe DiMaggio Show as well as his guest appearance on Bill Stern Sports Reel and a broadcast of Hear It Now. Be the first to comment on "Joe DiMaggio"